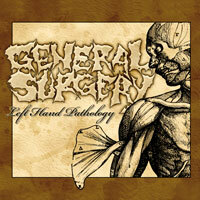 Formed in 1989, Stockholm's General Sugery is the side project of various members of Swedish Death Metal acts. The original line-up comprised of Richard Cabeza on vocals, Carbonised guitarist Jonas De Rouche, Grant McWilliams on bass and then Carbonised vocalist Matti Kärkki on drums. The project's first demo was titled 'Erosive Offals'. McWilliams departed prior to the second demo 'Pestiferous Anthropophagia'. General Sugery's line-up then virtually disintegrated, leaving only Kärki remaining. Cabeza soon returned to the fore with Dismember. New recruits were Afflicted guitarist Joacim Carlsson and drummer Matts Nordrup. Grant McWilliams also rejoined. General Sugery were then offered a deal by American label Grind 'Til Global Perfection. Tracks were recorded which would eventually become the 'Internecine Prurience' demo. Also recorded would be a three track demo attributed to Meat Missile. Following recording of further General Surgerysongs with producer Tomas Skogsberg, Kärkki quit to concentrate full time as vocalist for Dismember. The tracks recorded for the American EP were to surface as the 'Necrology' EP on Relapse Records in 1991. The initial 1000 copies came in blood red vinyl and, as the pressings soon sold out, Relapse reissued the EP on CD, with two extra tracks, in 1994. With General Sugery on hold, Matts Nordrup would surface in Crematory. 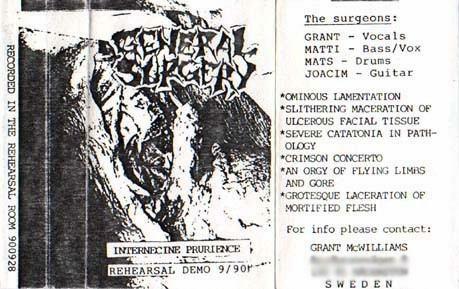 General Sugery would reform in 1999 citing a new line-up of Matti Kärkki on vocals, Grant McWilliams on vocals, guitarist Joacim Carlsson, bassist Richard Cabeza and NASUM man Anders Jakobson on drums. The band soon got back into action contributing their version of 'Empathological Necroticism' to a Deathvomit Carcass tribute album. However, Jakobsen would depart and the group pulled in the temporary services of Erik Thyselius of Stockholm's Construcdead. Chris 'Piss' Barkensjö of Repugant and Kaamoswould take the drum stool in February of 2001. By 2002 it would be the Birdflesh and Dethronement credited Adde Mitrouliu (a.k.a. Smattro Ansjovis) enrolled as new drummer. Richard Cabeza would team up with premier Black Metal act DARK FUNERAL for North American touring in the Spring of 2002. 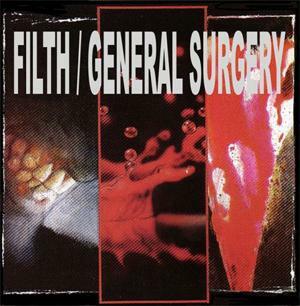 A General Sugery split album shared with The County Medical Examiners was issued by Razorback Records in 2003. 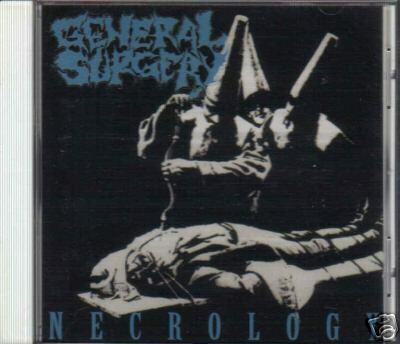 In September of that year General Sugery boosted their numbers with the addition of Scurvy, Bombstrike and Repugant credited second guitarist Johan 'Bosse' Wallin. Further split releases were projected with Spanish Horror-Grind outfit Machetazo and the bizarre Japanese band Butcher ABC, both via Escorbuto Recordings. 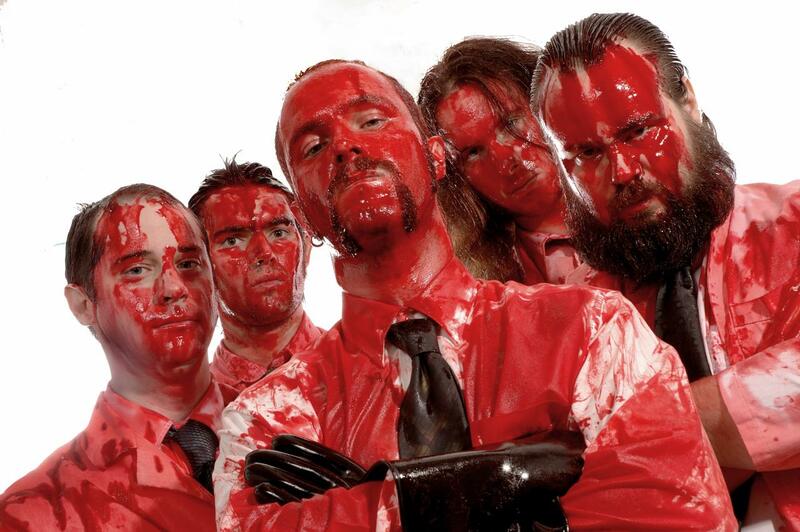 Bassist Andreas Eriksson decamped in January of 2004, the band drafting Regurgitate's Glen Sykes as temporary fill in. As such, General Sugery announced that they were to perform live for the first time in over fourteen years, this momentous event taking place Club Nocturnal in Gothenburg on Valentine's day. By May guitarist Johan Wallin and Regurgitate bassist Glenn Sykes had enrolled full time. That same year guitarist Joacim Carlsson and former drummer Erik Thyselius formed up part of the resurrected Face Down. General Sugery teamed up with Impaled and Butcher ABC for the "Gore Over Japan Tour" in September.